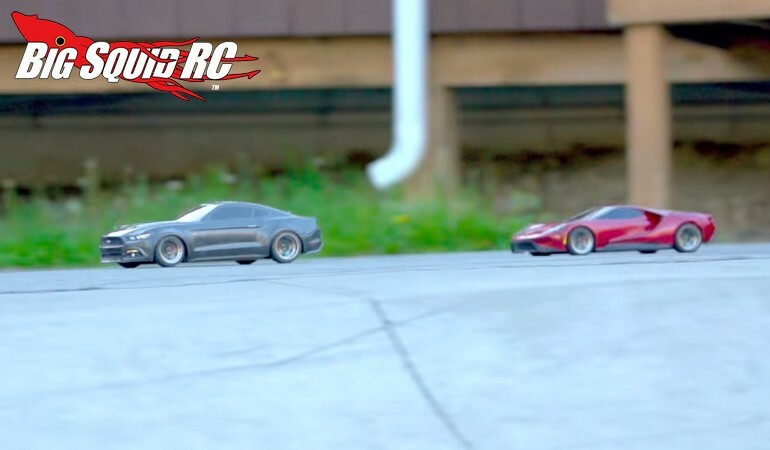 Video – Traxxas Road Racing Fun At Camp Woodward « Big Squid RC – RC Car and Truck News, Reviews, Videos, and More! Have you driven an on-road car lately? If not, Traxxas has a new video showing you how much fun it can be. The video below shows a pair of 4-Tec 2.0s cruising around Camp Woodward. There is some drift action, and for all you fans of airtime, the Traxxas crew even hit some small jumps with the Ford GT and the Mustang GT. Watch the video below to get your blood pumping for some on-road action, or you can Click Here to learn more about the 4-Tec 2.0 over on the Traxxas website. Want more Traxxas news? Find All The Latest right here on BigSquidRC.